The marshy plain crossed by the rivers that descend from the Apennines has made the land sandy, permeable, soft and rich in potassium. Here man cultivated orchards and vineyards creating a unique landscape using local plants such as poplars, elms and oaks to grow with the vines. During the seasons temperature changes dramatically with thermal excursions from very high in summer to wet cold in winter. The spirit of local people and the growing of Lambrusco vines have always been influenced by weather. 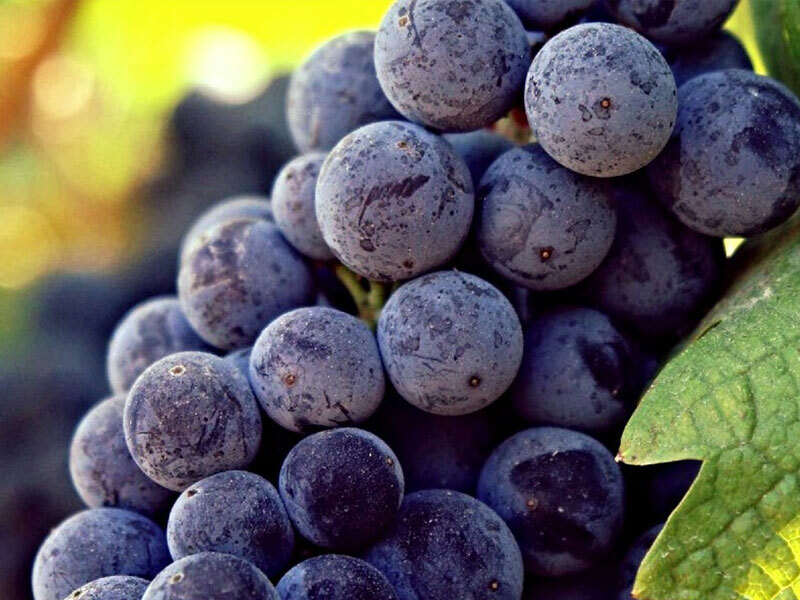 Even the Romans started to grow the wild variety of Lambrusco. The wet air makes winter foggy and summer muggy. In this way the ground is often moist from nightfall till dawn. 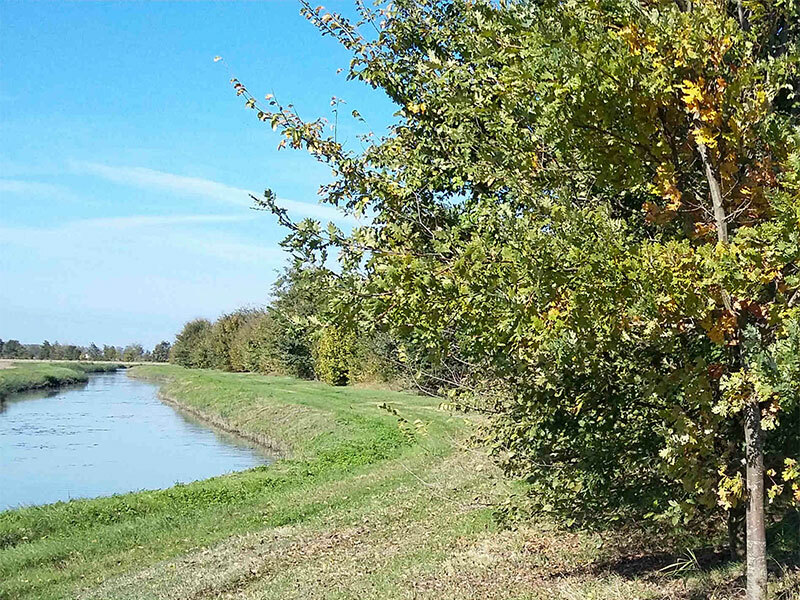 The Po valley is crossed by the largest river in Italy, where so many tributaries flow from the Apennines. All these rivers shaped the lands to the right side of the Po: the Emilian lands. Carpi and neighbouring lowlands never ran out of water. The marsh dominated the landscape and in 1920 a huge work of environment reclamation was started. Today, many canals and trenches level the water flow and dispense it everywhere. 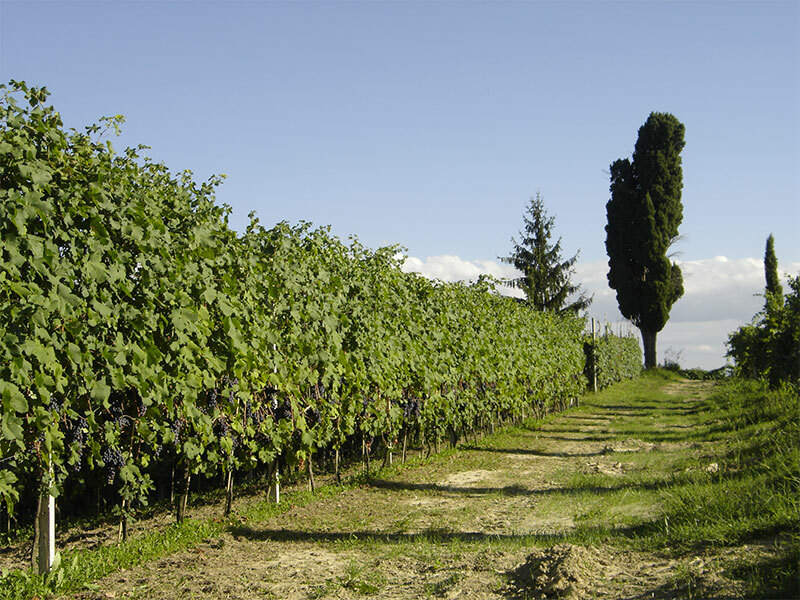 The various vines of Lambrusco – Salamino di Santa Croce, Sorbara, Grasparossa and Ancellotta – originate from the ‘Vitis labrusca’, a wild vine growing in the fields already in Roman times. You can still find it on the side of trenches and river banks. It is characterized by clusters with tiny acines from an intense purple colour. The Romans appreciated the qualities of Lambrusco, an exuberant and convivial wine. The bond with this wine went stronger over the centuries because sometimes it compensated food shortage and because people used to drink it during the most important events such as ceremonies, anniversaries and religious festivals.